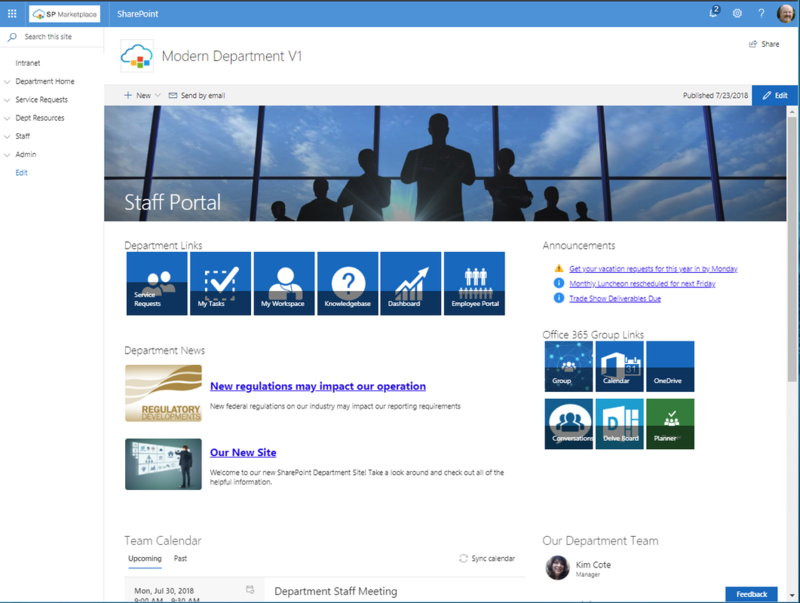 ​SP Workplace Solutions V12, is a next generation out-of-the-box integrated Intranet Portal structure that delivers best practice designed portals that transform Office 365 into a Digital Workplace. 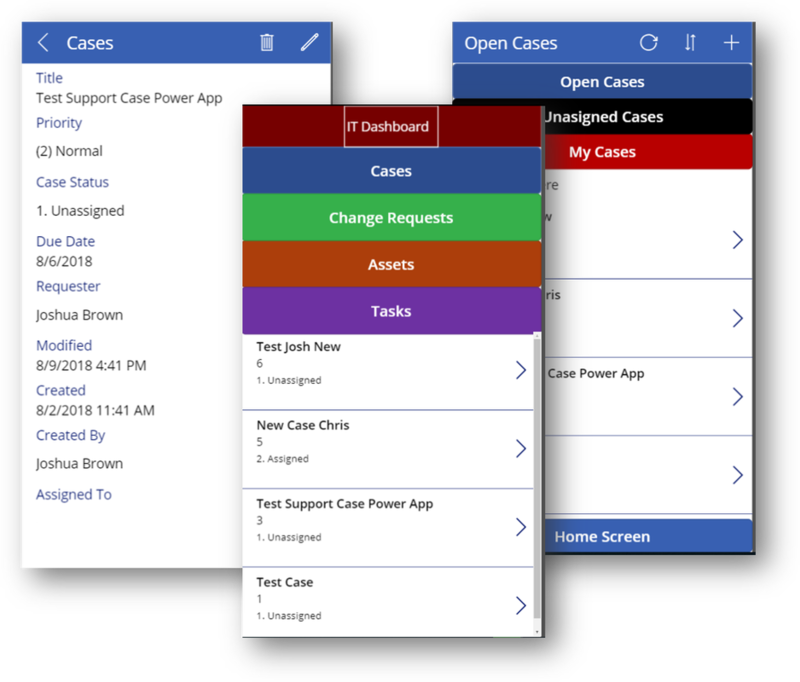 Built natively on SharePoint Online using the latest Microsoft cloud technologies, these out-of-the-box, no-code solutions enable organizations to establish a common structure for communication, resources, processes, collaboration and internal services. In short, they drive an internal business structure that "makes it easy to do business inside the organization." Deployment Options: Classic or Modern UI? Communications, Hub or Team site? Flexibility is key. We built SP Workplace Solutions V12 to allow you to "have it your way". Based on your organization's needs, you can deploy in the Classic UI mode (if you have existing classic sites), or deploy in the Modern UI if you have new modern sites. In fact you can switch between the UI's within the same product. We designed our new site portals with duplicate site pages and a redesigned menu structure to support Classic or Modern UI. Want your home page to be a Communications site? Our Communication Plus package brings the best of both worlds by applying our best practice content design to your Communications site with our new News, Announcements and Promoted links web parts. It's the best of all worlds, leveraging the latest Microsoft technology while benefiting from our out-of-the-box best practice portal structure. 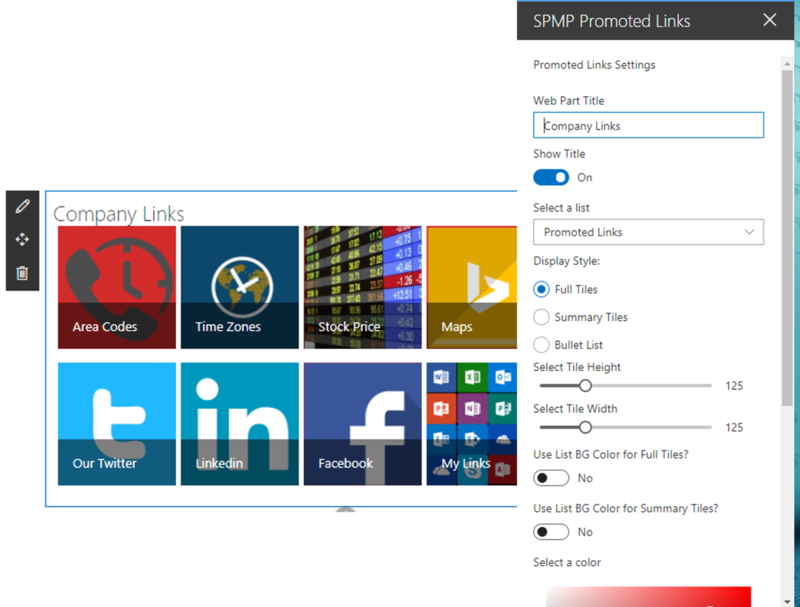 SP Marketplace has always delivered out-of-the-box functionality that goes way beyond basic SharePoint site templates (see product pages for details), and with SP Workplace Solutions V12, we take this concept to a whole new level leveraging the SharePoint Modern UI, PowerApps, MS Flow and new levels of integration with Office 365 Groups and Teams. Organizations can deploy the module to use either the SharePoint Modern UI or Classic UI. Also, it is possible to switch back and forth as well. 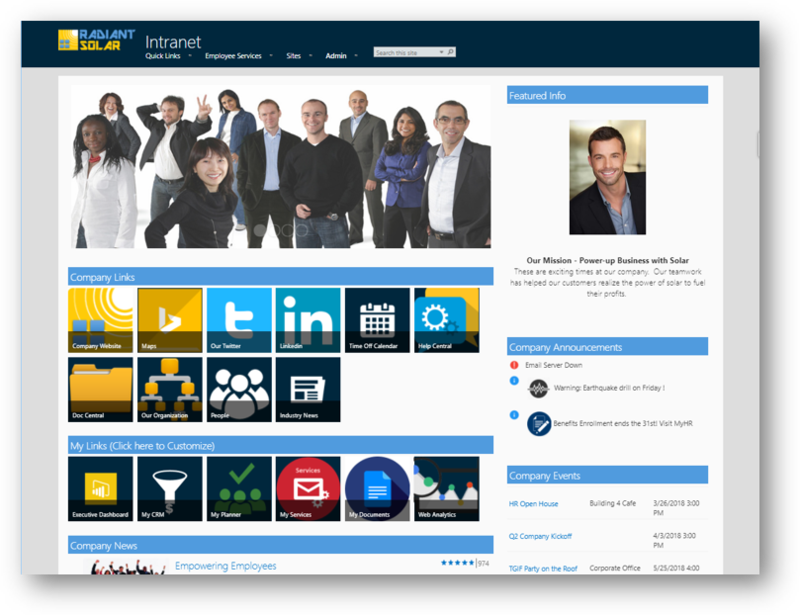 The V12 Intranet Module can be based on a Team Site or a modified Communications Site option called SP Communications Plus. 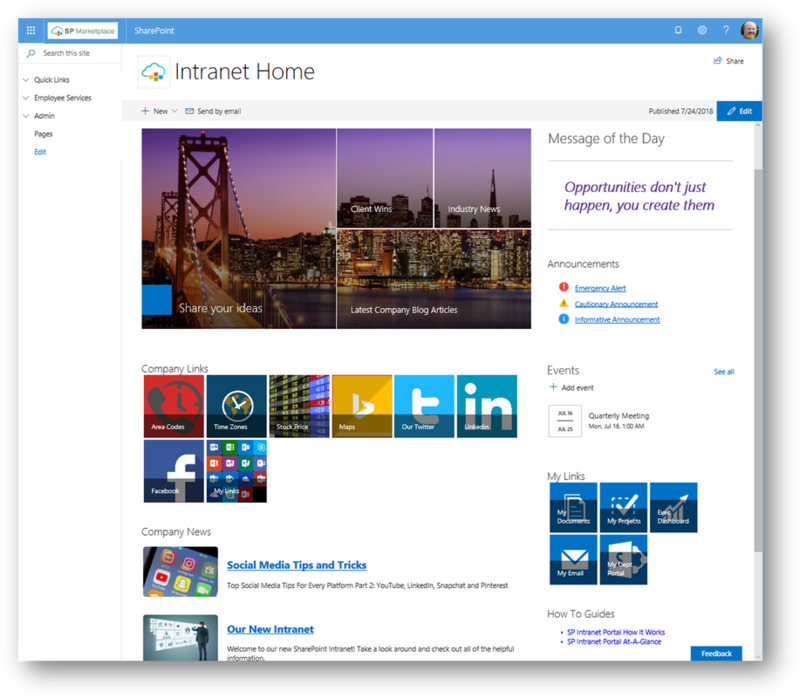 This is an enhanced version of the new Communications Site, that has enhanced Content Management features (see below) and is integrated with the rest of the SP Workplace Portals. The Intranet, ESS, and Department modules all include our enhanced content management functions. Unlike the base Modern UI and Communications sites which have very limited content management capabilities through the site pages, SP Workplace Solutions V12 has full list-sourced content management. This allows for content approval, security, audience targeting and display management for News, Announcements, and Events. We even bring back promoted links to the Modern UI! Best of all, content management can be easily done through a secure Content Manager Dashboard. 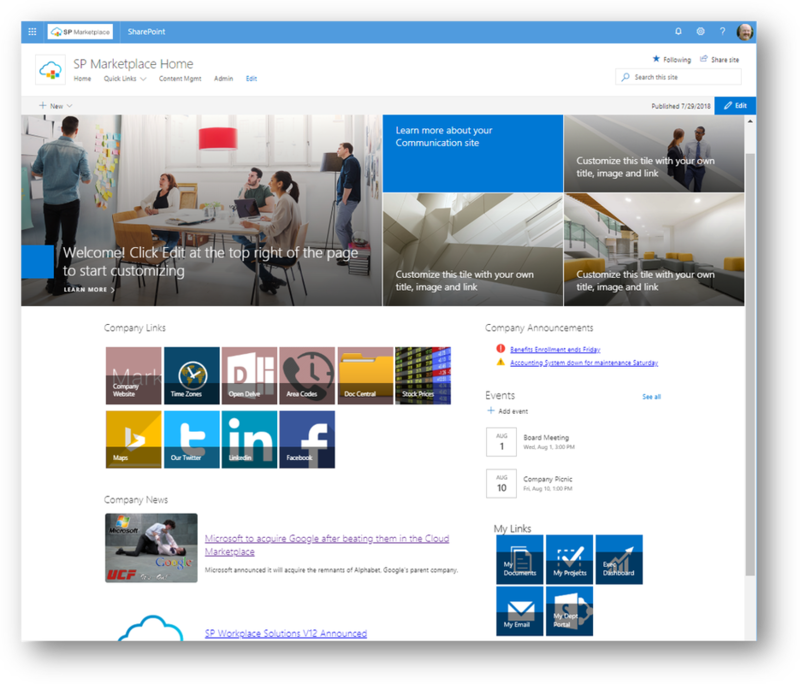 Every Department Portal now links to the corresponding Office 365 Group or Team and related resources (OneDrive, Discussions, Planner, etc). My Workspace in the Departments portals links to the users One Drive, Email, Planner and Delve. All process applications support Skype for Business and have Power BI dashboards. In-place upgrade available for current SP Marketplace Customers! If you are an SP Marketplace customer running version 10 or later of our SharePoint Solution Modules, you can use the SharePoint Modern UI with your existing modules. We have developed an in-place provisioning capability to add Modern Site Pages to your solutions. There is no license charge for the upgrade itself, but a service fee to apply the update may be required. 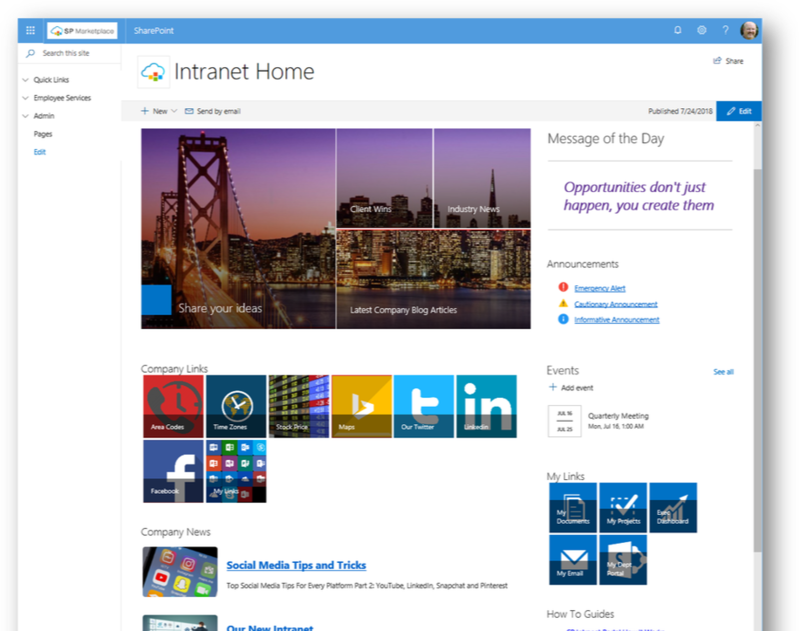 WHAT IS THE PROBLEM WITH HOW THE SHAREPOINT MODERN UI HANDLES CONTENT?